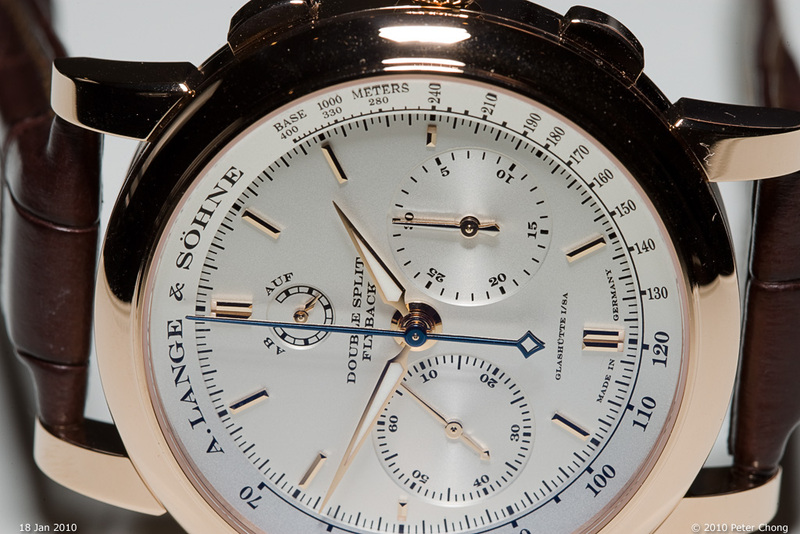 The annual calendar offers a lower cost alternative to the perpetual calendar…and also a cleaner, easier to read dial layout. 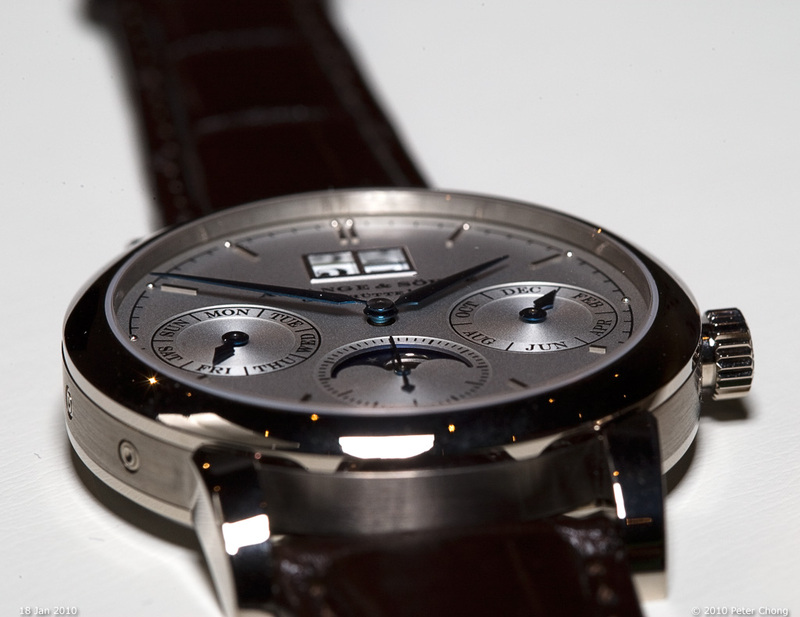 Very handsome watch, clean dial layout, very legible. 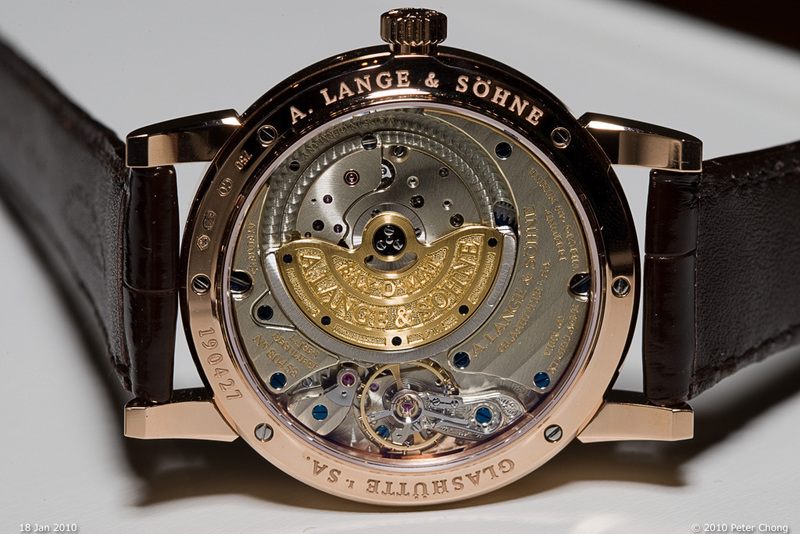 Movement again in characteristic Lange finish. 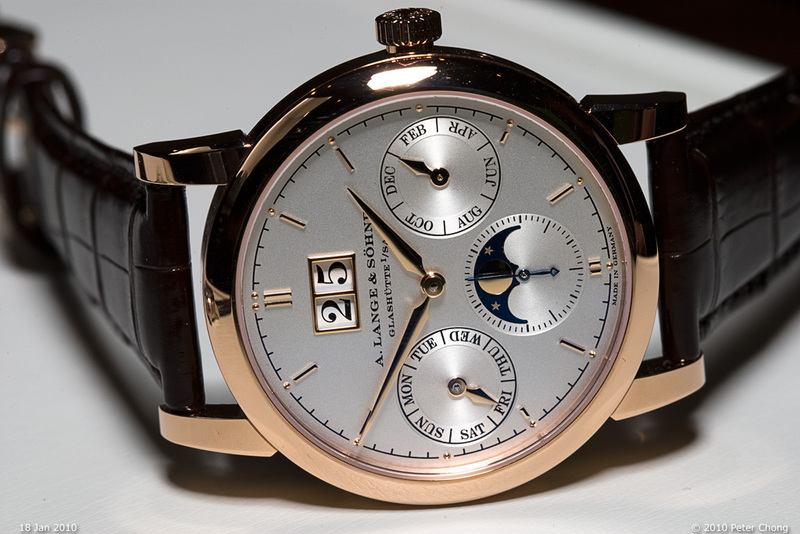 The annual calendar movement is under the dial (like the perpetual calendar) and from the back, the watch looks like a regular Langematic movement. Absolute drop dead movement design and layout, following the cues from the magnificent Datograph, the Double split adds another layer on top of the already beautiful, layered look of the Datograph. 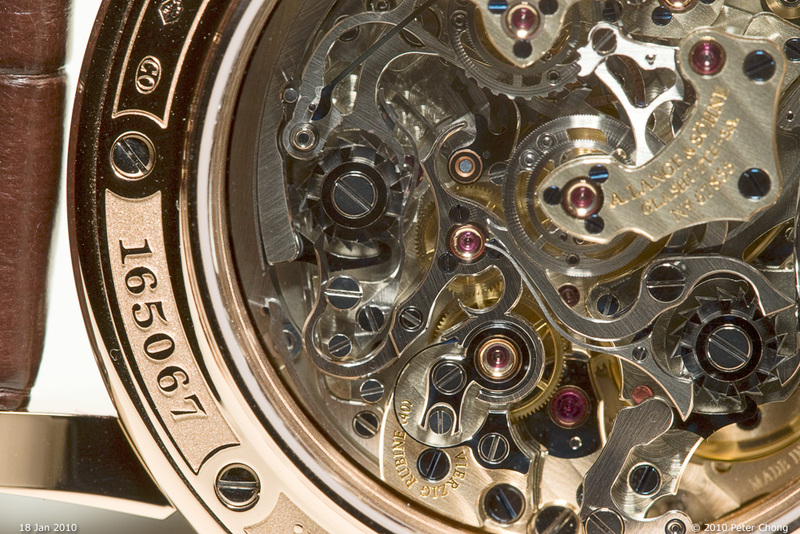 Detail of the movement. Showing the incredible design and finish of all the parts. Exquisite and truly a mark of true beauty. 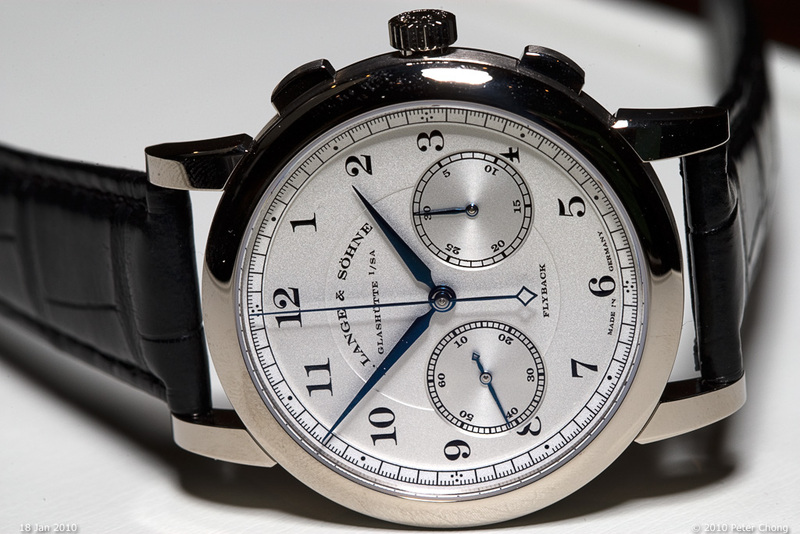 The 1818 Chronograph was discontinued with the prior 1815 line, and when the 1815 line made its return last year, the chronograph returns in 2010. The redesigned watch has a cleaner dial…the railway track is now gone, removing the clutter. 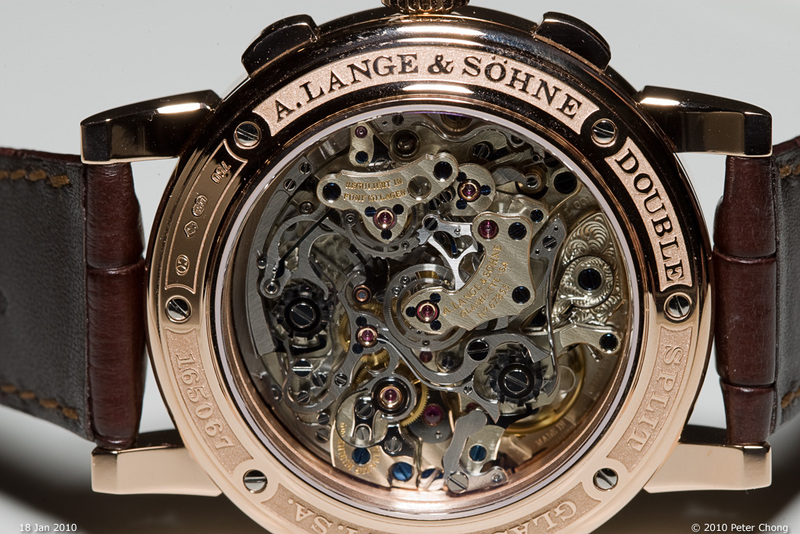 The same gorgeous movement adorns the new 1815 Chronograph. 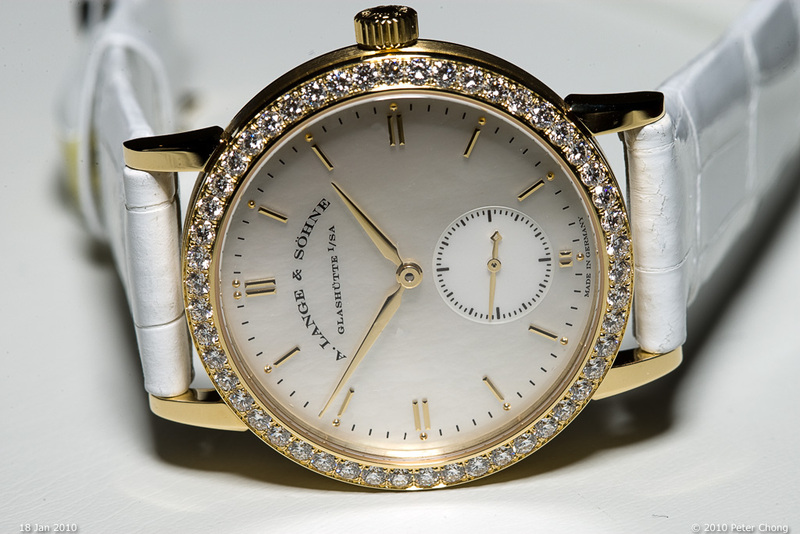 And finally something for the ladies…the Little Saxonia. 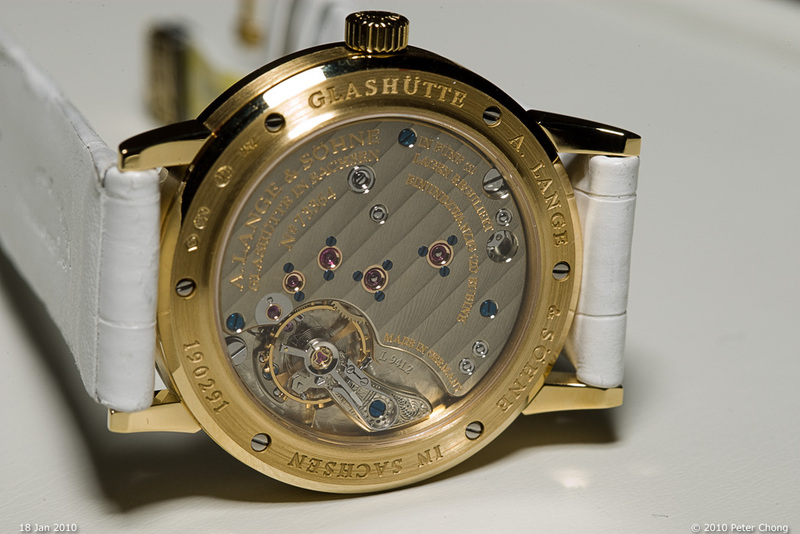 Many mourn the loss of the original, small handwound watch, introduced with the revival of the ALS brand in 1994. Now it returns as a beautiful ladies piece. The bezel is set with 52 brilliant cut diamonds, weighing approx 1.3 carats. This is a beautiful piece to grace a feminine wrist. 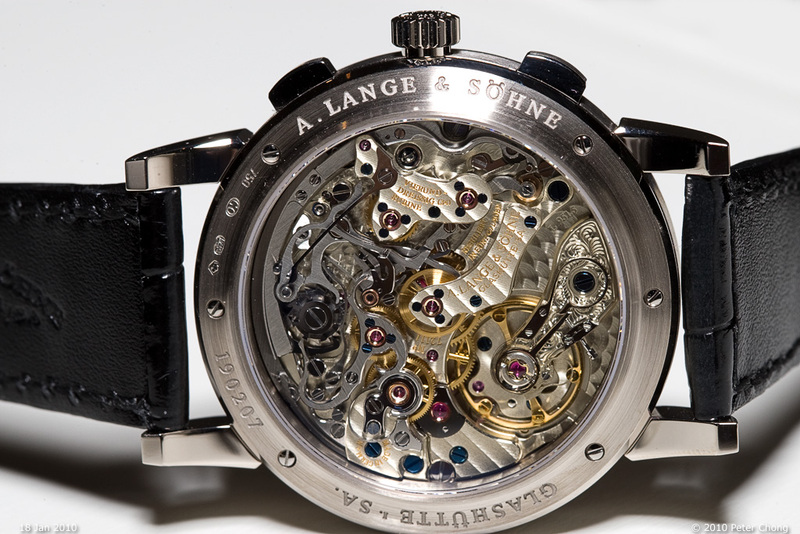 The original L941.2 adorns the new watch. Case also remains unchanged at 34mm.